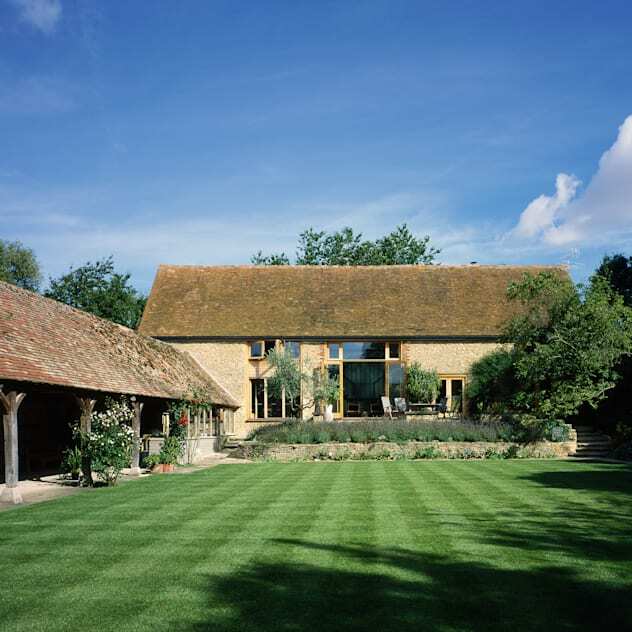 Farm and barn conversions provide a true challenge for architects and project management teams. When undertaking such a project, there is a whole host of different considerations and potential minefields to avoid. Building a house from scratch is straightforward enough – You can plan every little detail from the foundations upward and have full control over the construction and design process. When undertaking a conversion, you are working with a pre-existing structure and therefore are confined to certain limitations. How do you get it right? How do you create something that is architecturally beautiful but also liveable? How do you create a modern home that maintains the character and soul of the original building? These five examples are farm & barn conversions that got it right – They show how it should be done, and show how awe-inspiring a project such as this can be. This charming Cornish farmhouse has been proposed by Woodford Architecture & Interiors. It has extended lengthways to create a fantastic family home. A great barn/farm conversion will strive to maintain the aesthetic of the surrounding area and aim to blend in and look natural. Using traditional materials and simple cladding, this extension and conversion does exactly that and also makes use of glass to streamline the building and allow ample amounts of light to fall into the living space. gracefully combines both traditional and modern aspects. To find out more on this project we supplied the CGI’s for, please click here. There is something immensely satisfying about restoring a listed building – Knowing that you have kept a piece of history alive. 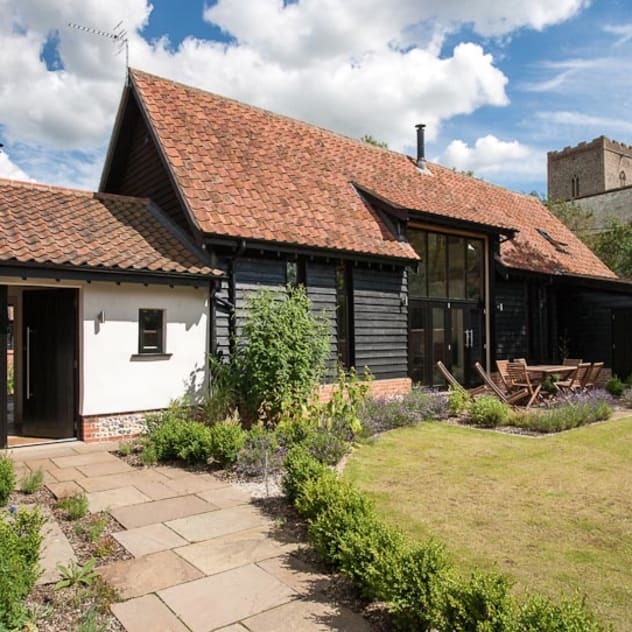 Church Farm Barn combines two Grade II listed buildings in a quaint village in Suffolk. The exterior features original black wood paneling and tiled roofs. Furthermore, the original openings and doors have been kept and turned into Venetian doors or large floor to ceiling windows. Inside, the architects have gone to great lengths to keep the original barn features – All the wooden beams have been left intact, and the original ceilings are exposed – The final effect is outstanding. 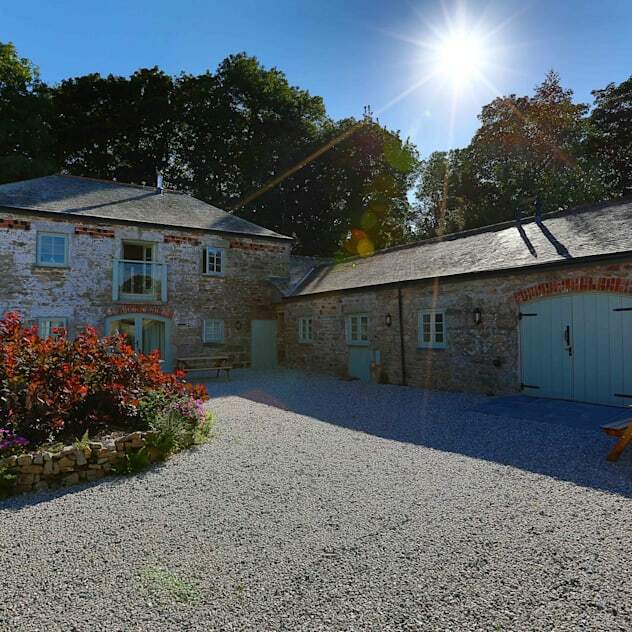 Situated in a quiet country estate in the heart of Ponsanooth, Cornwall, Cosawes Barton is a fantastic complex that includes a renovated house and a series of barn conversions. The barn conversions retain their original stone walls and roof and have a quiet charm about them. Inside, the conversions feature a combination of modern interiors and fixtures, together with traditional exposed beams, doors and windows. Great care and attention have been given to maintain the rustic village feel of this pleasant complex. When creating a barn conversion, it is difficult to maintain a balance between old and new – To retain the original charm of the structure, but modernise it and create a comfortable and open living space. This renovated barn in the center of rural Oxfordshire does exactly that and combines the beautiful stone interior walls and exposed beams together with modern decor, minimalist staircases, and even a mezzanine gantry in the living room providing access to the second floor. Barn and farm conversions can provide a second life to an old abandoned or derelict building. In the town of Shankill, there is an old granary that has been faithfully restored and now stands as a stylish and contemporary home. It is rare to see step-gables in English architecture, but this house retains its original features including stone stairs and slate tiling throughout the bottom floor. As you can see, these five particular designs took what was already great about the original structure, worked with it, and created something truly amazing and unique.